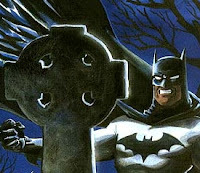 On the subject of Batman's religious affiliation, there is some disagreement among fans as well as among writers about whether the character is a mostly lapsed Catholic or a mostly lapsed Episcopalian. There is universal agreement that the character is not an active churchgoer in any faith. 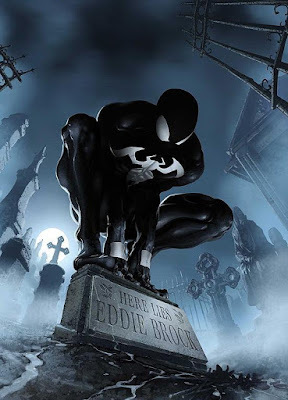 The headstone of Bruce Wayne (Batman): a Christian cross. This type of cross, with its flared rounded ends, is known as a "cross bottony. "The choice of a cross for Bruce Wayne's headstone is not an accident, and was not a default choice. 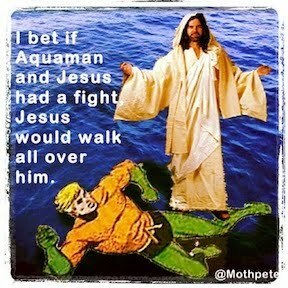 Perhaps the future Bruce Wayne will be more actively religious than the contemporary character. This headstone may have been selected by Bruce Wayne's wife, possibly Selena Kyle. A later panel shows Kyle's headstone, which is not a cross, despite the fact that she has been portrayed as a Catholic in some comics. As Batman's religious affiliation is listed as "Episcopalian/Catholic (lapsed)" in various places, we have noticed a few people who incorrectly interpret this as an indicator that Batman is a "lapsed Catholic" who has now become an Episcopalian. This is certainly not the case. What is meant is that Batman is an "Episcopalian/Catholic" who is lapsed in the bi-denominational upbringing of his childhood. It is a valid observation that children raised in homes with a split religious identity are more likely to be lapsed or religiously non-observant as adults than children of parents with a united religious identity. Batman is certainly no exception to this trend, although it is possible to think of many reasons other than his parents' inter-faith marriage for his lack of traditional religious observation and identification as an adult. 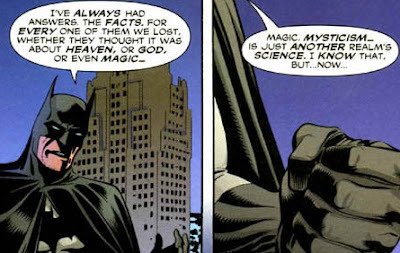 On rare occasions, stories have been published in which Batman has simply identified himself as an atheist or a Christian. It is reasonable to assume that, as with other people, Batman's precise beliefs, spirituality and relationship to God vary over the years, and sometimes shift depending on his experiences. The religious aspects of Batman's character also vary depending on the writer. Bruce Wayne studied Buddhism, participated in Buddhist practices such as meditation, and spoke in clearly Buddhist terms during his time in the Orient. Nevertheless, Batman is not known to have ever overtly identified himself as a Buddhist, nor is known to have practiced Buddhism in any religious sense since returning to Gotham and embarking on his career as Batman. Although Batman's Christian background (as opposed to a non-Christian background) is essentially taken as a given among writers and fans alike, the character's precise denominational affiliation has been a matter of disagreement. The brooding, vengeful, purpose driven (or clearly obsessed) Dark Knight is who Batman really is. 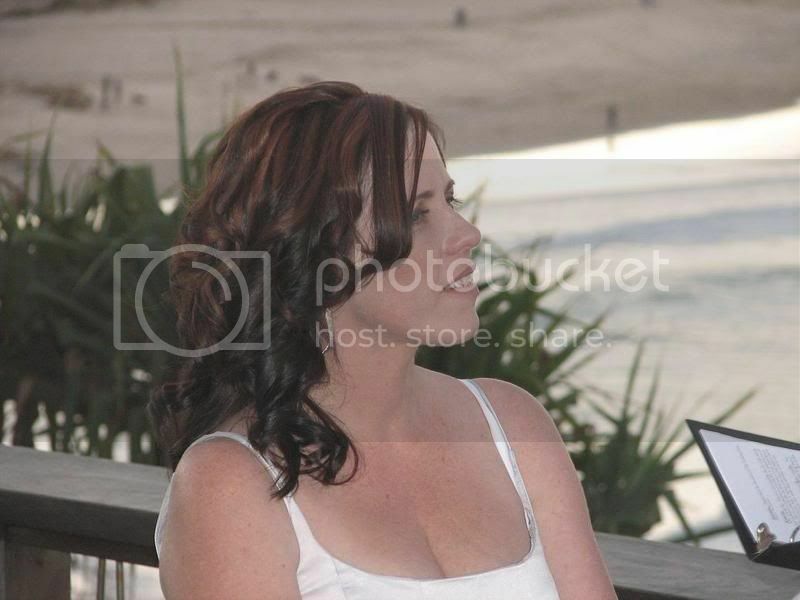 He is constantly aware that he is not a normal person living a normal life, and he isn't even capable of relating to people who strive for such a life. Batman's mission is driven by the singular fact of having witnessed the murder of his parents when he was a child. Guilt, retribution and a desire for social justice intermingle in the character's psyche to create the peculiar motivations that compel him to dress as a bat and physically confront criminals. 1. Batman is not real (n-o-t r-e-a-l) and therefore any analysis of his beliefs is a waste of time - who cares lol. Btw I did have a second point... but I was blinded by the overwhelming truth of point 1 that I forgot it by the time I typed the number 2. Or you could...you know...just read the comics.